With the advent of RPA, the Philippines found itself in the midst of a far-reaching ‘reinvention’ of the workplace, based on intelligent processing capabilities that were rapidly taking over transactional activities. However, rather than spelling disaster for an industry heavily relying on human resources, RPA also advocates a real opportunity. That opportunity is growing. With RPA projects well underway, Shared Services practitioners are now turning their attention to how to scale this robotic capability across the enterprise. 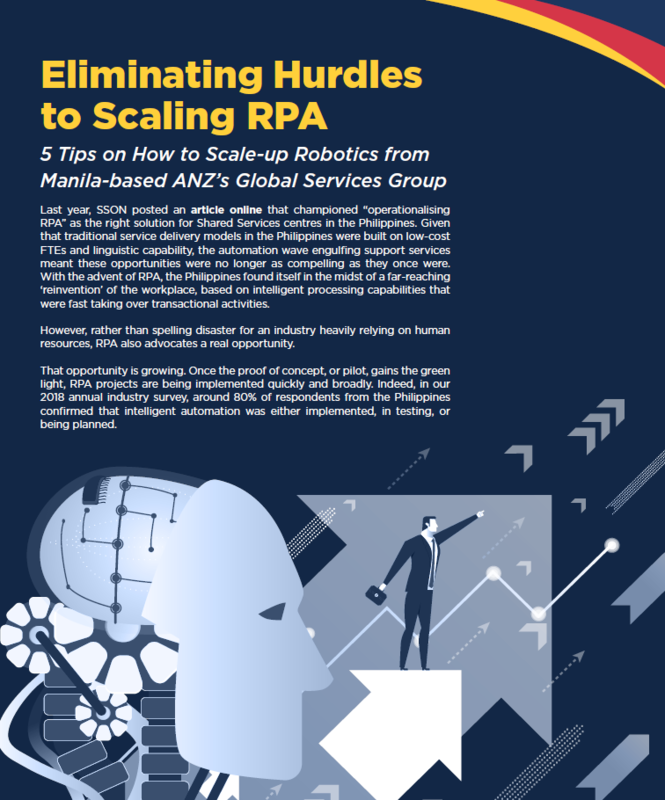 Here are 5 top tips on scaling up robotics from Manila based ANZ's Global Services Group.